On the schedule for this semester is Health Science for Teachers and my first methods class which covers Assessment, Curriculum and Classroom Management. (For new readers I am in college earning a Social Science Credential to teach History in High School.) The health class will be easy and will just require me to stay on top of the reading but the methods class is going to be a challenge. What impressed me most about the methods class teacher is that he is teaching us the same way we are learning to teach... which doesn't always happen. He's very dynamic and had us get up and move around the classroom to "teambuild or classbuild" which was super fun as I love meeting new people. With this activity we had to roam the classroom and ask questions that our teacher had provided us. Get this...one gal I met told me one of her hobbies is to make "poo" out of felt and embroider names on it and give it to her friends. Cracked me up and thought to myself that it had to go in the blog. I finished up a project yesterday that has been on my WIP forever... 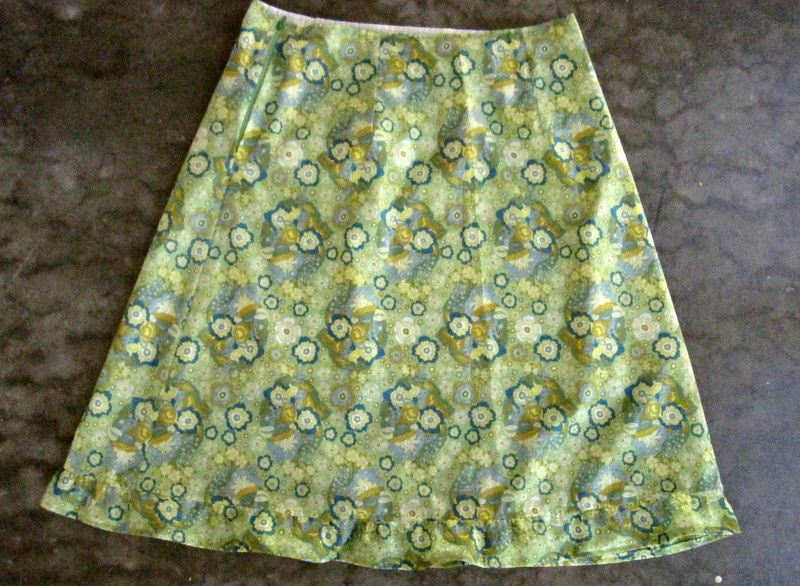 The Essential A-Line Skirt from Jona at Stop Staring and Start Sewing. 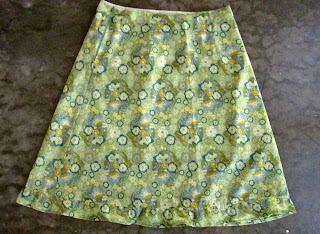 I used an Anna Maria Horner Little Folks Voile fabric called Baby Bouquet in Meadow - using a voile fabric for this skirt was the right idea as it is light and has a buttery feel to it - perfect for a summer day. I'm looking forward to wearing this skirt soon. I ran out of the Kona Celery solid for the border so I need to stop by Joann's to pick up a tiny bit more. Once I have that in house I'll start sewing this baby together. 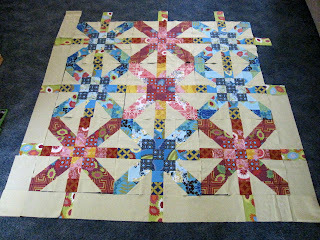 Please stop by Freshly Pieced with Lee to see what other's have on their WIP lists. Another busy time for you Susan. 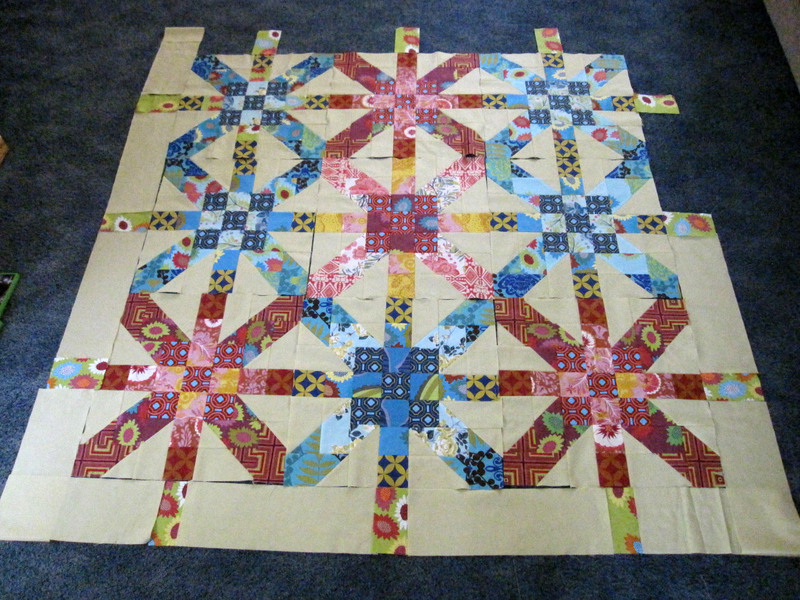 Your quilt is coming along nicely. Cute skirt. oh my goodness, I am loving your Supernova! Cute skirt too! I haven't sewn clothes for myself in a verrrry long time. Good for you!